After an egg is fertilised in the laboratory, the cells begin to divide. During these initial development stages, the embryo is contained in a layer of proteins (the zona pellucida). In order to successfully implant into the uterine lining, an embryo must hatch out of this layer and attach to the uterus wall. 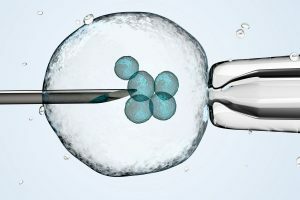 Assisted hatching is a laboratory technique developed when fertility experts observed that embryos contained in a thin zona pellucida showed a higher rate of implantation during IVF. With this method, on the third or fifth day of embryo development the embryologist uses micromanipulation under a microscope to create a small hole in the protein layer to assist the process. Those who have had two or more failed IVF cycles. Those with poor embryo quality. In cases of frozen embryo transfers.